Is there room for more than one at the top? Holland America's Nieuw Statendam joins the Konigsdam in the line's newest 'Pinnacle' class of ships. Fan favorites from the first Pinnacle-class ship join new innovations on the latest ship for the beloved Dutch cruise line. This is the sixth 'Statendam' ship for Holland America; the 'Nieuw' was added to distinguish it from the original, 19th century ship for this storied ocean line- turned- cruise line, and to celebrate the line's new era in cruising with its Pinnacle-class ships. The ship's godmother is Oprah Winfrey, the icon of 21st century lifestyle goals. Oprah has had a relationship with Holland America for a couple of years now, but the Nieuw Statendam is the first time she takes on the role of godmother for a ship. In a peak Oprah experience, she hosts a sold-out 'Girls' Getaway cruise this season, and we hope, at least one a year to come. But if you're not on a cruise with Oprah, you'll still feel her influence: O's Reading Room inspired by her book club, O-mazing Activities that help you live your best life onboard, like healthy eating workshops, guided morning meditation, even some of her 'favorite things' available for sale in shops. 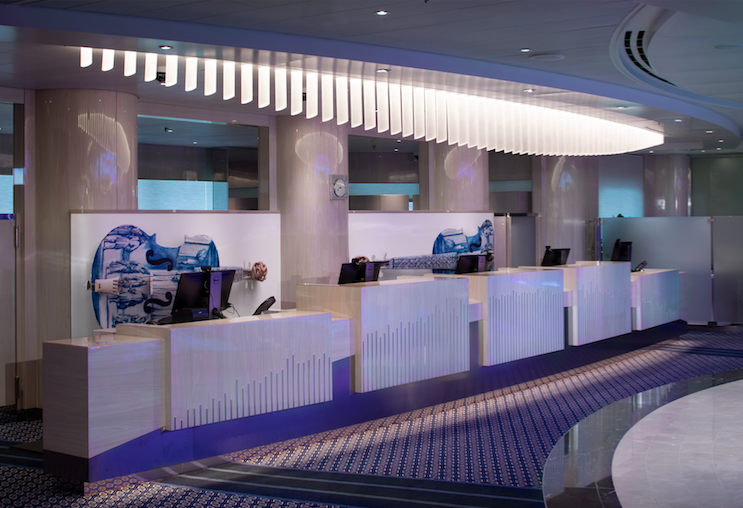 The Nieuw Statendam in so many ways has been inspired by music. Stateroom decks are named after famous composers as diverse as Gershwin and Mozart. 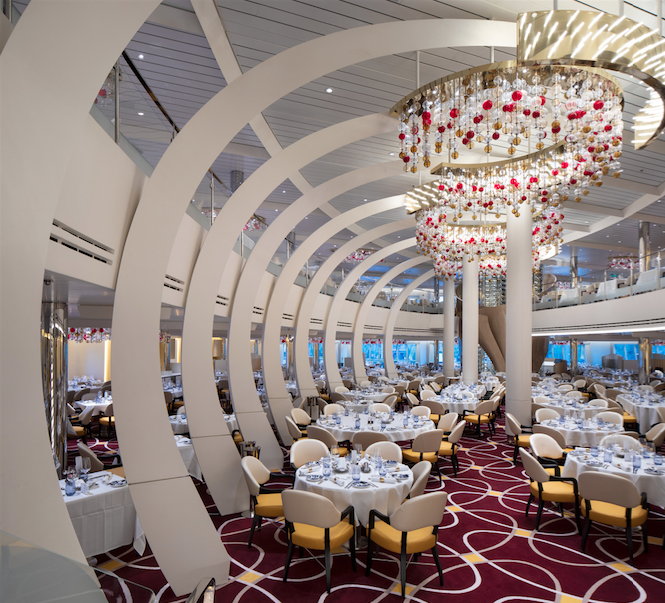 The ship's unique interior boasts grand, light-filled spaces, spectacular shapes and scale and curves inspired by musical instruments. 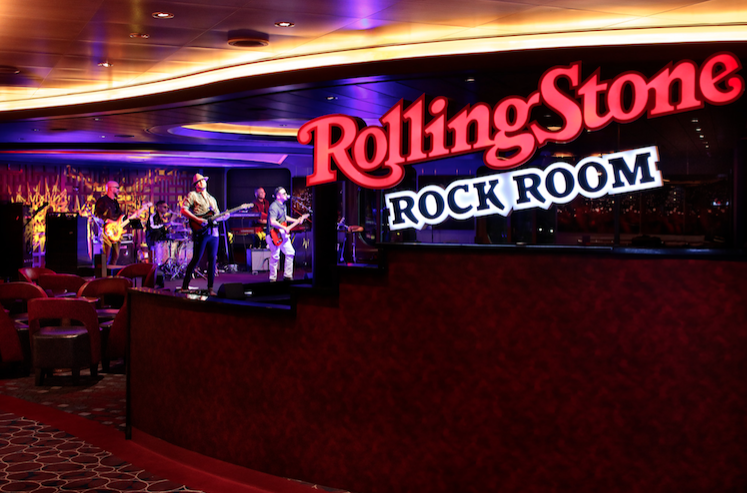 On Deck 2 you'll find a firm Holland America cruise ship favorite, the 'Music Walk' – with a new venue for the Nieuw Statendam. 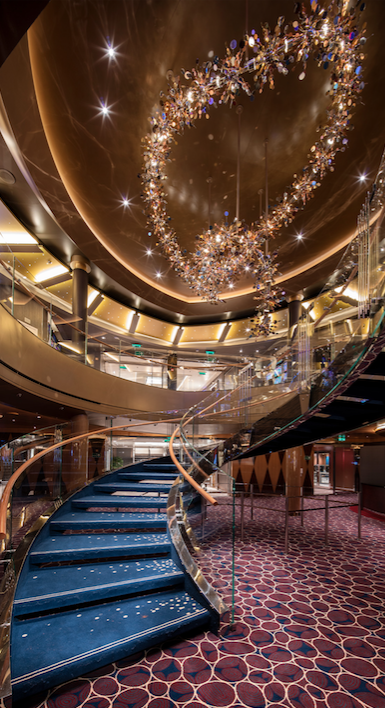 The 'Music Walk' is a simple premise: nearly the full length of the ship, you can wander among music lounge venues featuring different atmospheres and types of music. The venues open out onto the 'walkway' so you can stop for a pre- or post-dinner drink here or there for a song or a dance or more as the mood and the music strike you, all the way from the World Stage entertainment venue with LED wrap-around screens and multi-channel entertainment innovation at the forward end of the ship to the Dining Room aft. The Music Walk includes B.B King Blue's Club, Lincoln Center Stage's classical music, Billboard Onboard re-playing the pop music of several generations to keep every guest on their toes, and new on the Nieuw Statendam, a partnership with Rolling Stone, playing iconic rock hits through the history of the genre. Holland America Line is famously devoted to the artistic community, sourcing extensive collections for each of its ships from artists in different media from around the world. On the Nieuw Statendam, artists from a mind-boggling 150 countries are featured in the 1920 works of art valued in the tens of millions of dollars. Art is everywhere on the ship, not just in the gallery, and a high tech self-guided art tour is a favorite sea day activity. It's the only purpose-built wine-blending venue at sea. 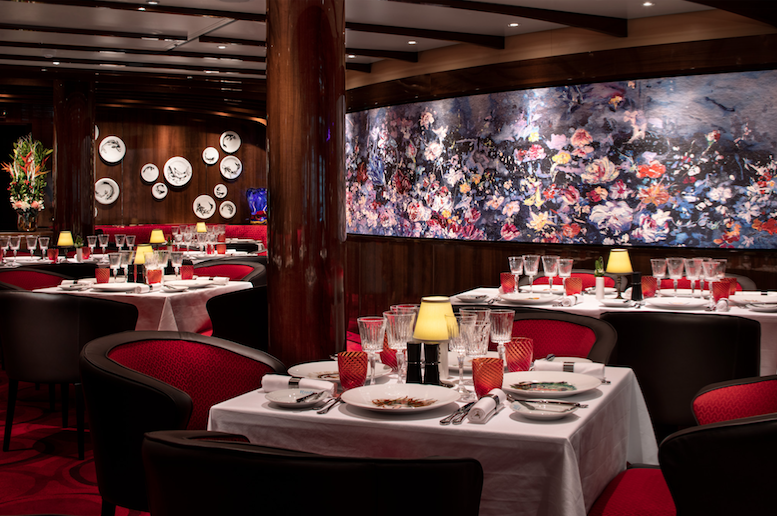 BLEND brings the art of winemaking to guests on the Nieuw Statendam. Whether you're a connoisseur or just know what you like to drink, the process of blending your own wine and learning from the onboard wine expert will be a highlight of your cruise… as will drinking the fruits of your efforts either at dinner or in your stateroom. 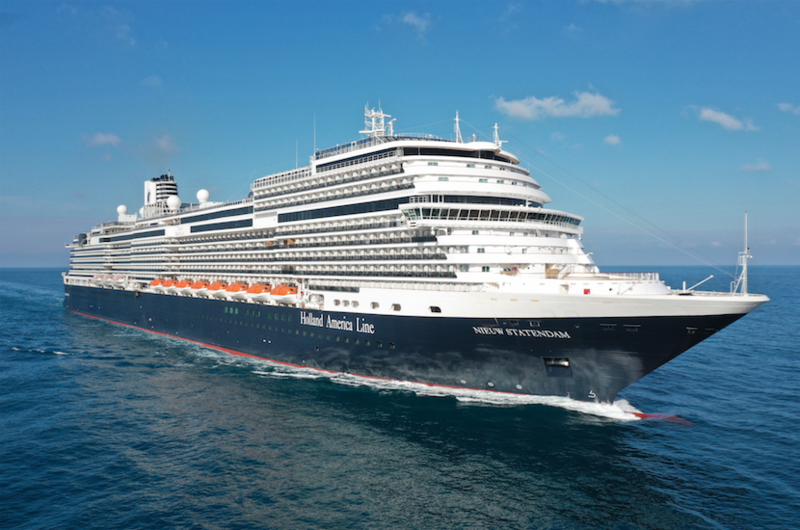 The Culinary arts are prioritized on the Nieuw Statendam, too, as on all Holland America cruise ships. Your favorite Dining Room and specialty restaurant dishes are on the latest HAL ship, in over a dozen fine and casual venues including the Pinnacle-class venues Sel de Mer, the French brasserie, and the Grand Dutch Café in blue-and-white Delft style. Holland America's exclusive partnership with America's Test Kitchen is manifested on the ship in the form of onboard cooking shows and hands-on workshops for the home chef. The Nieuw Statendam sails her inaugural season in the Caribbean, with all sailings including a day at HAL's private island, Half Moon Cay. 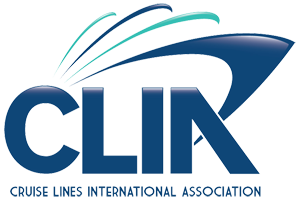 She sails to Europe for summer explorations to the Mediterranean and Norway, and returns to the Caribbean in October.